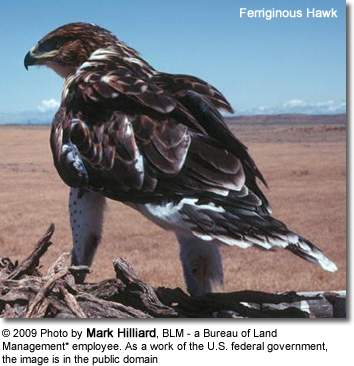 The Ferruginous Hawk, Buteo regalis, is a large buzzard-type hawk. 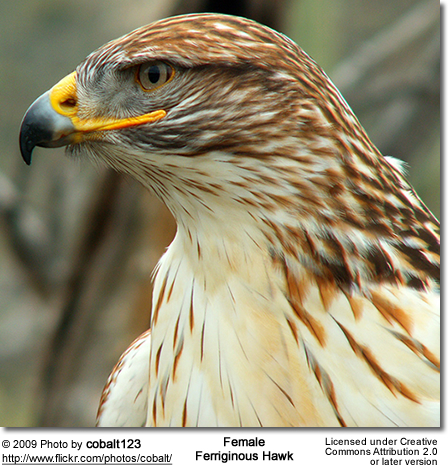 Their breeding habitat is prairie and open country in mid-western North America. They build a stick nest on top of a tree or cliff edge, sometimes on the ground. Sometimes, cattle dung is used to line nest; historically, buffalo dung was used. In the central part of their range, they are permanent residents. 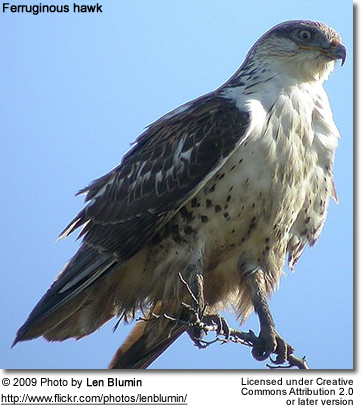 Northern birds migrate to the southern United States and Mexico. 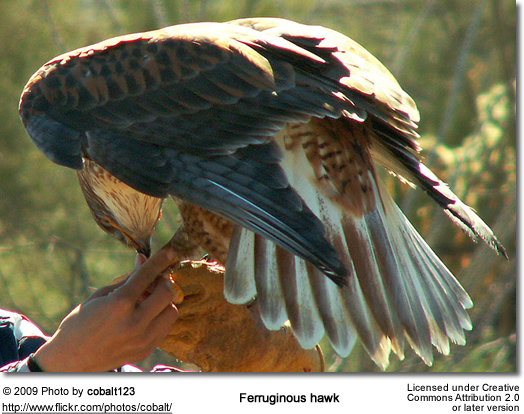 "Ferruginous" refers to the rusty colour of the light morph birds. The underside is primarily light colored with the dark legs forming a "V" shape. 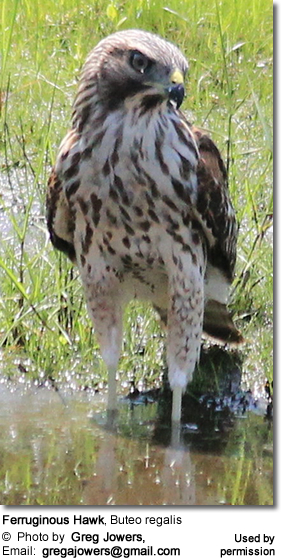 This is a large hawk with a reddish upper back and inner wing-coverts or "shoulders" (please refer to Wing Anatomy). The primaries (= longest wing feathers) are dark gray with conspicuous light "windows" in the inner primaries (longest wing feathers). Three prominent light areas on the upper surface stand out as two "windows" on the outer wings and a rufous rump mark. The underwings are whitish overall with rufous markings, particularly in the patagial area. This gives a smudgy appearance to the wings but less dark than a red-tailed hawk. Dark "comma" shaped markings are prominent at the wrists. 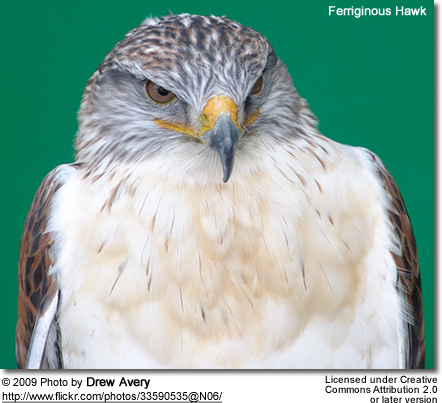 The species taken by ferruginous hawks depends on range overlap and subsequent availability. Common prey items include rodents, birds, reptiles and insects. Across the Canadian prairies, the range was diminishing up until 1980, and at that time, birds were felt to be occupying 48 percent of its original range. Numbers were generally felt to be diminishing and a total Canadian population was estimated at 500 to 1000 pairs. By 1987, population increases were being noted, and the Alberta population alone was estimated at 1,800 pairs. The upswing was likely due to a greater availability of food on the wintering grounds, making the birds more likely to breed when they returned to Canada. In the United States, there has been a history of concern for this species in many states with declines noted, but in 1988, one study suggested that the population in California and locally elsewhere may have increased significantly. The wintering population north of Mexico was estimated at 5,500 birds in 1986. In 1984, the population estimate for North America was between 3,000 and 4,000 pairs, and in 1987, it was 14,000 individuals. Bring a good pair of binoculars. Field guides or spotting scopes are also helpful. 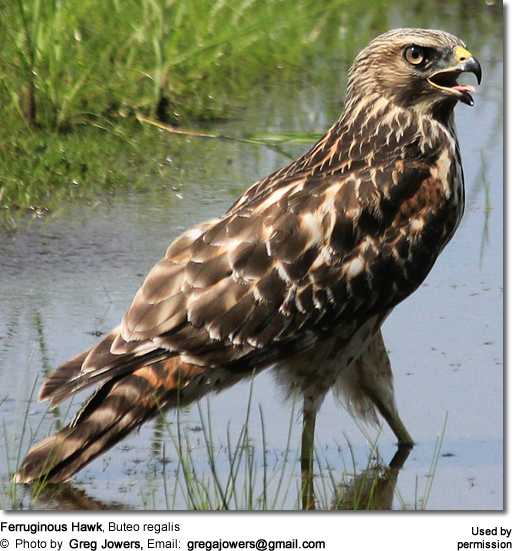 Viewing tends to be best in mid-March, May and June, in the early morning and evening hours when the hawks are actively hunting. During April, viewing opportunities slow as birds spend most of their time sitting on nests. 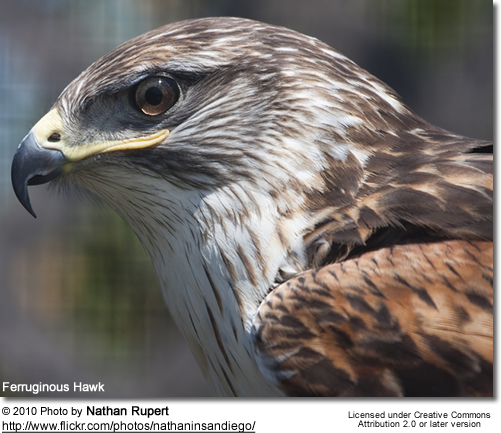 By July, the canyon temperatures are fiercely hot, ground squirrels have gone back underground and many hawks have left the area. Wildlife are wary of humans. Patience is a wildlife watcher's best virtue. When an animal changes behavior as a result of your presence, you are too close.